The Danish trademark registration landscape is, for obvious reasons, centred around the Danish Patent and Trademark Office (DKPTO), which is a competent, efficient and consistent authority. The Danish enforcement landscape, on the other hand, is much more complex and, as this chapter explains, trademark rights may be enforced in a number of ways in Denmark. Obviously, the Danish courts are the cornerstone of the Danish enforcement landscape, but they do not work alone. For instance, practitioners consider the Danish Complaints Board for Domain Names to be a great alternative to the courts, when trademark disputes involve domain names. The DKPTO forms part of the Danish Ministry of Industry, Business and Financial Affairs.8 It works to help companies protect and exploit their ideas and inventions and thus aims to be the Danish centre of intellectual property.9 One of the core tasks of the DKPTO encompasses the activities undertaken in relation to trademarks, including trademark registration in particular. The powers of the DKPTO are primarily set out in the Trademarks Act. Registered trademarks are, inter alia, protected pursuant to the Danish Trademarks Act, namely Section 4(1), which implements Article 5(1) of the Trademarks Directive and which entitles the proprietor of a trademark to the right to prohibit any person not having consent from using any sign in the course of trade, if the sign is (1) identical to the trademark and is used for identical goods and services, or (2) identical or similar to the trademark, and the goods or services are identical or similar, if there exists a likelihood of confusion, including a likelihood of association with the trademark. Reputed trademarks enjoy, inter alia, protection pursuant to Section 4(2) of the Trademarks Act, which implements Article 5(2) of the Trademarks Directive and which stipulates that, regardless of the limitation in Section 4(1) to identical or similar goods and services, the trademark proprietor may also prohibit use for goods or services that are not similar, if the trademark has a reputation in Denmark, and if use would take unfair advantage of, or be detrimental to, the distinctive character or the repute of the trademark. Collective marks and certification marks are protected by the Collective Marks Act.21 With the exception of certain provisions, the Act refers to the provisions of the Danish Trademarks Act. In Denmark, trademark rights may also be acquired through use in the course of trade. This follows explicitly from Section 3(1)(2) of the Trademarks Act. Case law indicates that the use requirement is interpreted leniently by the Danish courts. Even use within a group of companies may qualify as use for the purposes of Section 3(1)(2) of the Trademarks Act.22 If trademark rights are acquired through use, the trademark is, by and large, entitled to the same protection as registered trademarks outlined above. Well-known trademarks – within the meaning of Article 6(b) of the Paris Convention – are protected pursuant to Sections 15(2)(4) and 15(3)(2) of the Trademarks Act. The first provision, read in conjunction with Section 15(1), states that a mark that is identical or confusingly similar to an earlier trademark that is 'well-known in this country in the meaning stipulated in Article 6(b) of the Paris Convention' is not registrable. Section 15(2)(4) essentially implements Article 4(2)(d) of the Trademarks Directive. Company names may be registered as trademarks in Denmark. Moreover, if use of a company name qualifies as trademark use, trademark rights may also be acquired through use. Outside the world of trademarks, company names are primarily protected pursuant to Section 2 of the Danish Companies Act. Most importantly, Section 2(2) essentially states that company names must differ from other company names registered in the Danish Business Authority's IT system and must not include a family name, company name, distinctive name for real estate, trademark, trade name and the like, which is not the (intellectual) property of the company or which may cause confusion on the part of the public. As with company names, trade names and business names may qualify for trademark protection without trademark registration, if trademark rights may be said to have been acquired through use. In addition, Section 22 of the new Danish Marketing Practices Act,24 which came into force on 1 July 2017, stipulates that no person carrying on a trade or business shall make use of any trademark or other distinctive business mark to which that person is not legally entitled or make use of his or her own distinctive business marks in a manner likely to cause those marks to be confused with those of other traders. The Danish Trademarks Act protects geographical indications in various ways. Sections 5 and 13 stand out. Pursuant to Section 5(2), which implements Article 6(1)(b) of the Trademarks Directive, the proprietor of a trademark shall not be entitled to prohibit a third party from using, in the course of trade, indications concerning geographical origin. Moreover, pursuant to Section 13(2)(1), which implements Article 3(1)(c) of the Directive, a trademark lacks distinctive character and therefore shall not be subject to registration, if it consists exclusively of signs or indications that may serve, in trade, to designate the geographical origin. The DKPTO examines for various prior rights.39 The DKPTO searches for confusingly similar marks in its database, which contains current Danish applications and registrations as well as EU and international trademarks, provided they have validity in Denmark. The results of the search conducted by the DKPTO are compiled in a search report, which the DKPTO sends to the applicant with a deadline by which the applicant should respond.41 The evaluation is only guidance, meaning that even if numerous, persuasive prior rights are identified, the applicant is free to decide to proceed with the registration, provided that no absolute grounds for refusal have been raised against the application. In Denmark, revocation and invalidation actions may be submitted to the DKPTO pursuant to Section 30 of the Trademarks Act or, pursuant to Section 29 of the Danish Trademarks Act, to the Danish courts. If an application for revocation or invalidation is lodged with the DKPTO, it must satisfy certain conditions.49 The starting point is that anyone may apply for revocation or invalidation. However, as is the case with regard to oppositions, it is not possible to base an application on third-party rights. Moreover, the application must be reasoned and the applicant must pay a fee of 2,500 kroner, which may be paid in a number of ways.50 If an application is lodged with the Danish courts, the parties will be subject to the rules pertaining to civil procedures. Judgments in trademark disputes rendered by the city courts may be appealed to the high courts.55 Certain monetary thresholds apply, but these thresholds are generally not relevant to trademark disputes. In addition to ordinary trials, trademark disputes may also be submitted to the courts in the form of preliminary injunction actions.58 An action for preliminary measures in a trademark dispute may submitted, even if a trial concerning the same dispute is current. Pursuant to Section 43b of the Trademarks Act, such actions may be submitted to the city courts or the Maritime and Commercial High Court, although either party to such a dispute may demand that the case be referred to the Maritime and Commercial High Court.59 Section 43c of the Trademarks Act, on the other hand, stipulates that if the preliminary measures are to have effect in all EU Member States, an action for preliminary measures must be submitted to the Maritime and Commercial High Court. Before civil litigation is commenced, the infringed trademark proprietor will often approach the infringer, often in the form of a cease-and-desist letter or similar. Obviously, such a letter serves the purpose of avoiding legal proceedings. However, under Danish law there are other advantages to approaching the infringer in this way. First, a cease-and-desist letter ensures that the infringer may no longer be said to act in good faith.63 Second, if the trademark proprietor does not approach the infringer, the proprietor risks not being awarded (full) costs, even if the subsequent action for preliminary measures or trial is successful. Before civil litigation is commenced, a trademark proprietor may also apply for the securing of evidence pursuant to Section 653 of the Administration of Justice Act. As opposed to actions for preliminary measures, securing of evidence actions must be submitted to the bailiff's courts. In Denmark, there are generally three alternatives to civil litigation in trademark disputes, namely arbitration, mediation and court mediation. All share one common characteristic, namely that they only come into play if the parties to a trademark dispute agree to pursue a path that is different from civil litigation. On the other hand, access to submit expert opinions is restricted in the context of trials. Expert opinions obtained by one party before the trial may, in most cases, be produced as evidence, whereas expert opinions obtained by one party, after the trial is initiated, may not be submitted. In Denmark, the starting point is that cases are pleaded orally.68 Even so, cases may be pleaded in writing, if the parties agree to it and if special circumstances support that the trial be pleaded in writing.69 Where the focal point of a trial is one of law and not one of evidence, such a trial may be suitable for pleading in writing. The Danish Administration of Justice Act does not set out any maximum time frames for civil proceedings. The Trademarks Act is quite clear about which remedies may be applied for in a regular trial concerning trademark infringements. If a trademark infringement is established, the trademark proprietor may, in accordance with Article 13 of the Enforcement Directive,76 claim reasonable remuneration and damages.77 The term 'reasonable remuneration' means a licence fee. Reasonable remuneration may be awarded, even if no loss has been substantiated. On the other hand, damages are only awarded if some sort of loss can be established. In May 2018, the Maritime and Commercial High Court ruled at first (and last) instance in a trial on the merits submitted by Karnov Group Denmark A/S (Karnov) against JHSchultz Information A/S (Schultz).85 The judgment, as well as the decisions by the Maritime and Commercial High Court and the Eastern High Court preceding the judgment and forming part of the same complex of cases, drew a great deal of attention in Denmark. The focal point of this complex of cases was the question of whether Karnov, provider of the leading case-law database in Denmark and the proprietor of, inter alia, the trademark UfR (word), could prohibit Schultz from using UfR (word) as a metatag and identifier as part of Schultz's competing subscription-based online case-law database. For the purpose of identifying decisions and judgments in its database, Karnov uses a particular format known as the UfR-number, which contains the trademark UfR (word). Karnov had learned that Schultz also used this UfR-number in its database. Inter alia, Schultz allowed its users to search for judgments using the UfR-number. This led Karnov to submit a request for a preliminary injunction against Schultz to the Maritime and Commercial Court, claiming that this use of the UfR-number constituted a trademark infringement of its unregistered rights to, inter alia, UfR (word) pursuant to Sections 4(1)(1) and 4(1)(2) of the Danish Trademark Act. Schultz's principal argument was that use of the UfR-number in its database did not constitute trademark use, and that in any case use of UfR (word) was allowed pursuant to Sections 5(2) and 5(3) of the Trademarks Act, which implement Articles 6(1)(b) and 6(1)(c) of the Trademarks Directive. The Maritime and Commercial Court granted the injunction.86 However, on appeal, the Danish Eastern High Court ruled87 that Schultz had not used Karnov's trademark in the course of trade, stating explicitly that the function of the trademark had not been affected. Following the decision by the Eastern High Court, Karnov submitted a trial on the merits to the Maritime and Commercial High Court. Both Karnov and Schultz principally relied on the arguments previously relied on by the parties as part of the action for preliminary measures. The Maritime and Commercial High Court delivered its judgment on 3 May 2018, and this time the Maritime and Commercial High Court, consisting of five judges, acquitted Schultz. Referring to the judgment of the Court of 14 May 2002 in Case No. 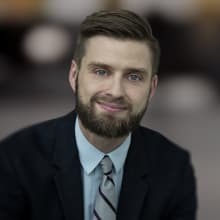 C-2/00 (Michael Hölterhoff v. Ulrich Freiesleben), the court initially remarked that a reference to a trademark for descriptive purposes does not necessarily have an adverse effect on the functions of that trademark. Moreover, following a case-specific analysis of the use of UfR (word) undertaken by Schultz, the Maritime and Commercial High Court concluded that this use did not amount to commercial communication, but rather constituted descriptive information, namely as a means of identifying a ruling, meaning that the functions of Karnov's trademark UfR (word) had not been affected adversely. The judgment of the Maritime and Commercial High Court was not appealed. The Maritime and Commercial High Court thus ended up with the final say in this complex of cases. Not many Danish rulings have relied explicitly on the functions of the trademark, which makes the decision of the Eastern High Court and the judgment of the Maritime and Commercial High Court particularly interesting. On 27 June 2018, the Eastern High Court ruled, at second instance, in a trademark dispute between international fashion brand G-Star Raw CV (G-Star Raw) and Danish retailer Kings & Queens ApS (Kings & Queens). The case was one of only a handful of Danish trademark cases to centre on the use of a translation of a trademark for identical goods, and is thus of interest. In 2016, G-Star Raw, proprietor of numerous registrations throughout the world of the trademark RAW for goods in class 25, became aware that Kings & Queens had applied for registration of the trademark 'Raw Apparel Est. 04' (figurative), and that Kings & Queens had started using the marks 'RAW APPEAL' (word) and 'RAW APPAREL' (word) for clothing in class 25. A settlement was concluded, which, inter alia, required Kings & Queens to cease all use of the marks concerned. Even so, in July 2017, shortly after the agreed phaseout period expired, G-Star Raw became aware that Kings & Queens had started using several marks consisting of or containing the Danish word 'RÅ' (which primarily translates into 'RAW') for clothing and footwear in class 25, namely 'RÅ', 'ЯÅ', 'ЯÅ ESTABLISHED 04' and 'ЯÅ Est. RÅ 04'. This time Kings & Queens refused to settle. Thus, in August 2017, G-Star Raw applied to the Maritime and Commercial High Court in Copenhagen for preliminary measures. A decision was rendered by the Maritime and Commercial High Court on 9 February 2018.88 Rather unusually, the two non-legal expert judges disagreed with the presiding legal judge and voted to decide in favour of Kings & Queens, observing that in their opinion the marks were visually and orally dissimilar; these judges also downplayed the conceptual identity relied on by G-Star Raw. These judges observed that there was no risk that the relevant consumer would perceive 'RÅ' to be a national sub-brand belonging to G-Star Raw, although they did accept that 'RÅ' could mean 'RAW'. The presiding legal judge, on the other hand, voted in favour of an injunction, observing, among other things, that (1) G-Star had used 'RAW' independently, (2) the marks in question were orally and visually similar, just as they were conceptually identical, (3) use of the mirror letter 'R', as well as the word elements 'ESTABLISHED 04' and 'Est. 04' made no difference, (4) the goods marketed by Kings & Queens and G-Star did not differ to an extent that mattered, and (5) a likelihood of confusion was thus rendered probable. On 27 June 2018, the Eastern High Court overturned the decision of the majority of the Maritime and Commercial High Court.89 Referring explicitly to the observations of the minority of the Maritime and Commercial High Court, the Eastern High Court agreed that it had been well established that 'RAW' had been used independently by G-Star Raw, and that, at the very least, a likelihood of confusion had been rendered likely, just as the settlement agreement had been breached. The decision seems to be in line with Danish case law, as well as EU case law, in relation to translations of marks, and seems to confirm that where some visual and aural similarity exists, conceptual identity may cause a likelihood of confusion, if the conceptual identity is easily understood by the relevant consumers. 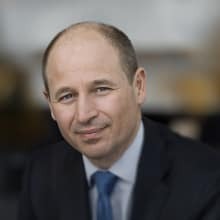 An amendment to the Trademarks Act is expected to come into force on 1 January 2019.90 The amendment will implement the New Trademarks Directive.91 As such, on 25 June 2018, a proposal for an amendment of the Danish Trademarks Act (the Proposal)92 was sent to various stakeholders by the DKPTO. While no major upheaval is intended by the DKPTO, the Proposal is nevertheless intended to implement a few significant changes, a few of which are described in the following. 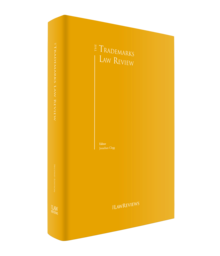 Pursuant to the Proposal, trademark rights may still be acquired through use in the course of trade.93 However, the Proposal now explicitly states that such use in the course of trade must be of more than mere local significance.94 According to the explanatory notes, this is to ensure alignment with Danish case law, which, on numerous occasions, has explained that mere local use of a mark is not sufficient to establish trademark rights through use. Even though the explanatory notes indicate that no material change is intended, this amendment might still end up raising the 'use threshold'. Should this scenario materialise, it would be reasonable to expect that Section 22 of the new Danish Marketing Practices Act, which offers supplementary protection, will become relevant once again, following a period of hibernation. Another change relates to the notion of publication. Under the Trademarks Act, the DKPTO does not publish the application, but rather publishes the registration in the Danish Trademarks Gazette95 when a registration certificate is issued.96 Pursuant to Section 19 of the Proposal, the DKPTO is now intended to align its practice with that of the EUIPO and publish applications instead of registrations. From a practical perspective, this is good news. This change in procedure is likely to make it easier for international applicants to grasp the Danish application process. Even more importantly, the Proposal suggests that, in the future, trademark applicants should have three different options when it comes to search reports. First, the applicant may choose not to receive a search report at all.97 This option is also already known from the EUTM system, which allows for fast-track applications, provided that certain conditions are satisfied. Secondly, the applicant may choose to receive a 'regular' search report, which highlights potentially conflicting prior trademark rights, to the extent that they are registered or applied.98 In this regard, the Proposal introduces a limitation. Currently, the regular search reports include further relative grounds for refusal compared with what is now proposed.99 According to the explanatory notes,100 the underlying reason for this limitation is that currently the DKPTO regular search reports entail a great deal of uncertainty regarding identification of unregistered rights such as copyrights and portraits, making it difficult for applicants to rely on these search reports, and similarly applicants may be misled into making unfortunate decisions, such as abandoning an application that should clearly not have been abandoned. Thirdly, applicants may choose to receive a reasoned search report, if they pay a fee. This initiative has been criticised by stakeholders. It has been said that, just like the current regular search reports, reasoned search reports will provide a false sense of security, given that many rights will not be considered. Moreover, such reasoned search reports may be misappropriated in legal proceedings, serving as evidence for or against infringements, which could (unintentionally) turn the DKPTO into a source of binding legal opinions. More issues are likely to be raised as the implementation process unfolds and, for obvious reasons, trademark practitioners and trademark professionals will continue to monitor the process closely. 1 Jakob Krag Nielsen is an attorney and partner and Søren Danelund Reipurth is an attorney and director at Lundgrens. 2 Consolidate Trademarks Act (Denmark), No. 223 of 26 February 2017 (the Trademarks Act). 3 Directive 2008/95/EC to approximate the laws of the Member States relating to trademarks, of the European Parliament and of the Council of 22 October 2008 (the Trademarks Directive). 4 Order on Application and Registration, etc. of Trademarks and Collective Marks (Denmark) No. 364 of 21 May 2008 (the Registration Order). 5 Agreement on Trade-Related Aspects of Intellectual Property Rights (the TRIPS Agreement). 6 Protocol Relating to the Madrid Agreement Concerning the International Registration of Marks, adopted at Madrid on 27 June 1989, as amended on 3 October 2006 and on 12 November 2007 (the Madrid Protocol). 7 The Paris Convention for the Protection of Industrial Property of 1983, of 20 March 1883, as amended on 28 September 1979 (the Paris Convention). 10 Internet Domains Act (Denmark), No. 164 of 26 February 2014 (the Domain Names Act), Section 28(1). 12 The Domain Names Act, Section 28(4)(1). 13 ibid., Sections (4) and (12); https://www.dk-hostmaster.dk/en/dk-hostmaster. 18 Companies Act, with comments (Denmark), No. 322 of 4 November 2011, 2nd Ed. 2014, Comment No. 8. 19 Consolidated Companies Act (Denmark), No. 1089 of 14 September 2015 (the Danish Companies Act). 21 Consolidate Collective Markets Act (Denmark), No. 103 of 24 January 2012 (the Collective Marks Act). 22 Trademarks Act with comments (Denmark), No. 223 of 26 January 2017, Comment No. 12. 23 Knud Wallberg, Varemærkeret (Djøf Forlag, 5th edition 2017), p. 344. 24 Marketing Practices Act (Denmark), No. 426 of 3 May 2017 (the Marketing Practices Act). 25 Proposal for the Marketing Practices Act as put forward on 12 October 2016 by the Minister for Economic and Business Affairs (Troels Lund Poulsen), comments to Section 22. 27 The Domain Names Act, Section 25(1). 29 Consolidated Domain Names Act with Comments (Denmark), No. 164 of 26 January 2014, Comment No. 49. 30 The Registration Order, Section 5(1); http://iprights.dkpto.org/trademark/how-to-file.aspx. 33 The Registration Order, Section 7(1); http://iprights.dkpto.org/trademark/how-to-file.aspx. 36 The Registration Order, Sections 8 and 9; http://iprights.dkpto.org/trademark/our-examination-of-your-application.aspx. 40 Family Names Act (Denmark), No. 1816 of 23 December 2015 (the Family Names Act). 41 The Registration Order, Section 10(4); http://iprights.dkpto.org/trademark/our-examination-of-your-application.aspx. 42 The Registration Order, Section 13; The Trademarks Act, Section 23. 45 The Registration Order, Section 13; the Trademarks Act, Section 23. 51 The Registration Order, Section 13(7); the Trademarks Act, Section 46. 53 Consolidated Administration of Justice Act (Denmark), No. 1257 of 13 October 2016 (the Administration of Justice Act), Section 225(3). 57 Administration of Justice Act, Section 368(4). 61 The Trademarks Act, Section 43c(2). 62 The Administration of Justice Act, Section 425. 63 Jens Jakob Bugge et al. : Dansk Immaterialret II, bind II, Sanktioner og Håndhævelse (Gads Forlag, 1st Ed. 2015), p. 157. 64 Judgment of the Maritime and Commercial High Court of 6 September 2017 in Case Nos. V-64-14 and V-27-15. 65 Clement Salung Petersen, Immaterielrettigheder og foreløbige forbud (DJØF Forlag, 1st Ed. 2008), p. 118. 66 Administration of Justice Act, Section 417(1). 67 U 2012 1893 V.
68 Administration of Justice Act, Section 365(2). 76 Directive 2004/48/EC on the enforcement of intellectual property rights, of the European Parliament and of the Council, of 29 April 2004 (the Enforcement Directive). 77 The Trademarks Act, Section 43(1). 79 The Administration of Justice Act, Section 411(1). 81 Consolidated Criminal Code Act (Denmark), No. 977 of 9 August 2017 (the Criminal Code). 83 The Administration of Justice Act, Section 991. 85 Decision of the Eastern High Court of 7 July 2016 in Case No. B-267-16. 86 Decision of the Maritime and Commercial High Court of 18 December 2015 in Case No. A-24-15. 87 Decision of the Eastern High Court of 7 July 2016 in Case No. B-267-16. 88 Decision of the Maritime and Commercial High Court of 9 February 2018 in Case No. A-35-17. 89 Decision of the Eastern High Court of 27 June 2018 in Case No. B-341-18. 91 Directive (EU) 2015/2436, to approximate the laws of the EU Member States relating to trademarks, of the European Parliament and of the Council of 16 December 2015 (the New Trademarks Directive). 92 Proposal for amendment of the Trademarks Act, the Collective Marks Act, the Designs Act and the Gas Safety Act. 93 The Proposal, Section 3(3). 94 The Proposal, Section 3(3). 96 The Trademarks Act, Section 23. 97 The Proposal, Section 11(3). 98 The Proposal, Section 17. 99 The Registration Order, Section 9(1). 100 The Proposal, explanatory notes, pp. 40–41.